Oh wow! My visit with Dr.Lampley was excellent. She is so knowledgeable and is very concerned about your health. Love lovelove her!! Found me a great doctor! Oh wow! My visit with Dr.Lampley was excellent. She is so knowledgeable and is very concerned about your health. Love love love her!! Found me a great doctor! 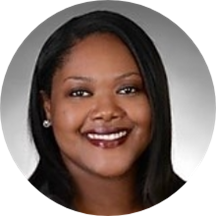 A part of Grandview Medical (Affinity Physician Services), Dr. Shani Lampley takes care of the Birmingham, AL community. Dr. Lampley received her medical degree from Meharry Medical College. She continued her training by completing a residency in internal medicine from the University of South Alabama. Dr. Lampley attended Tuskegee University, where she completed her bachelor’s and master’s degrees. As an internist and primary care doctor, Dr. Lampley is proficient in managing ear infections, migraine, sore throat, and high blood pressure or hypertension. She takes time to listen to her patient's problems and gently guides them through the diverse options and treatment plans they can consider. Dr. Lampley is a dedicated provider whose primary role is to provide quality treatment. She does so by applying her sound medical judgment to each patient interaction. So sweet! Has the best bedside manner! I loved Dr. Lampley. She listened to me, and offered me many options to see what would work for me. I felt comfortable, and I had my needs met. She was so patient, encouraging and easy to understand. I really like her bedside manners and she was very welcoming. Excellent and professional physician. Nurse was very nice and thorough. Front office staff was very courteous. I loved my first visit with Dr. Lampley. Everyone was so nice and Dr. Lampley really put me at ease. I am typically anxious about going to the doctor and haven’t had a steady doctor in a while. I feel likeI am in great hands though with Dr. Lampley. She is so understanding and great at explaining things. It was my first time seeing Dr. Lampley and she listen to me and was very polite. I will be going back to her. Absolutely love Dr. Lampley!! She was very friendly and I loved how she took the time to explain everything to me. Answered all my questions. Really appreciate and loved her bedside manner. Dr. Lampley LISTENS to you. She is thorough in her examinations, prudent in her decisions and makes sure that she and the patient are on one accord before leaving the office. She is knowledgeable and has a way of conveying herplan of action that is unparalleled. Everyone whom I have met in her office, from the receptionists to the nurses, technicians and other personnel have treated me with dignity during my visits. My only regret is not switching to her practice years ago. Dr. Lampley was very enthusiastic and listened to all of my concerns! My visit with Dr. Lampley went smoothly. She was extremely patient and kind. She made feel comfortable opening up about issues that I had been having. I highly recommend her. Dr. Lampley was very easy to talk to! She really seemed to care. I’m so happy I found her. She was Amazing! I've looked for years for a physician that I am comfortable with regarding speaking openly without any type of judgement or disregard, and her actions shows that she cares. Amazing physician! Very professional and personal with her patients. Dr. Lampley is a great doctor, she is very detailed and she takes her time and talk to you about your visit. It was quick and painless lol she's a wonderful doctor. It was wonderful because she makes you feel so comfortable. She laughed at my medical conditions and humiliated me. My POA called to try to find out my care plan because I was told nothing. I think she is pleasant individual, and comforting as well! Dr. Lampley is the epitome of what you look for in a doctor. She's kind, knowledgeable, and she truly takes the time to address your concerns no matter how big or small. I'm so grateful that she's my new PCP and I'm actually looking forward to my next visit. Loved the one on one time with Dr lampley...great bedside manner. Dr Langley is a young doctor whom will get my business and my wife's business. If you are looking for a great internist with care for her patients. Look no further!???? Dr. Lampley was very professional and got straight to the point of the visit. She was down to earth and made me feel comfortable. She seemed genuinely concerned about my health and was very encouraging with starting me on a good treatment plan. I loved her. She made me feel extremely comfortable and answered all of my questions. I was very impressed with my first visit. Dr Lampley was very thorough, took time to Answer questions and explain things to me. She was very caring and very friendly and immediately started trying to find out what my problemwas. I can say I have never been this impressed with any other doctor On a first visit before. I visited this doctor because of some seemingly unrelated symptoms. She was personable and attentive. Everyone was friendly and efficient. I feel sure Dr. Lamp key is committed to my health and wellbeing. She's excellent and I'll travel the extra miles to see her. Dr.Lampley was very professional and made it easy for me to her. Dr.Lampley was attentive and thorough with me. I was very appreciative and thankful to have found such an amazing doctor. She really cares about her patients. I am definitely going to recommended her to my family and friends. Very professional, excellent bedside manners. Very professional. Dr Lampley was a breathe of fresh air. I was very happy with my appointment. She was very professional, an excellent listener and a great proactive problem solver! I am very much looking forward to a long-standing relationship with her.